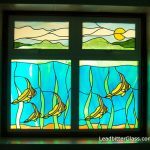 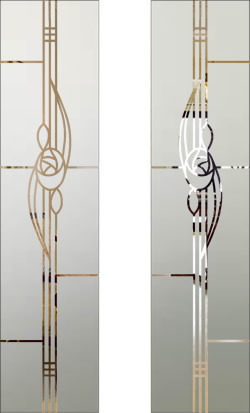 These Charles Rennie Mackintosh inspired designs can be created in almost any glass size. 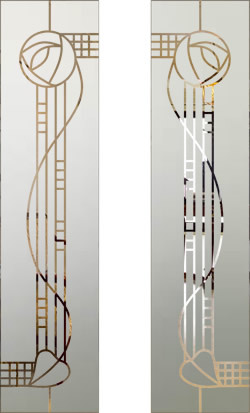 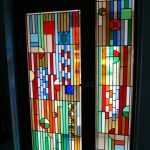 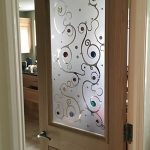 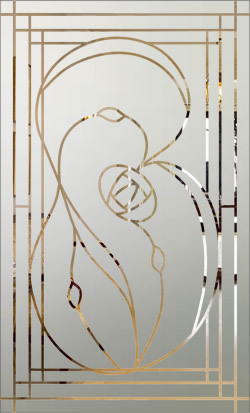 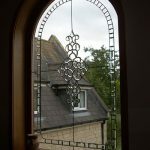 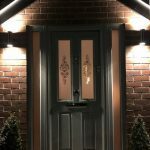 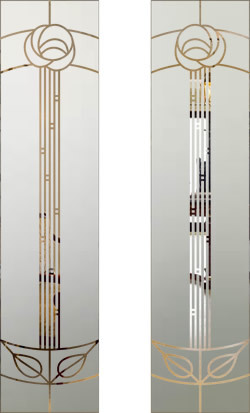 Many of the designs below can also be found in our Etched Glass Door Galleries where you can see how the pattern may look in your specific style of door. 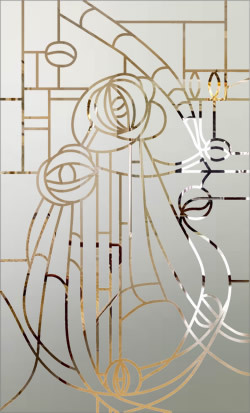 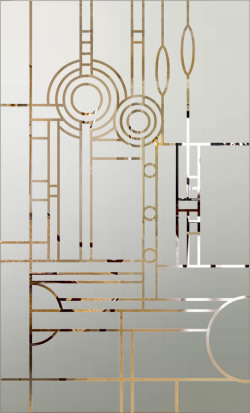 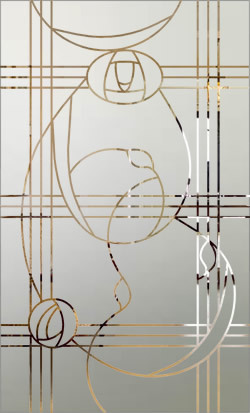 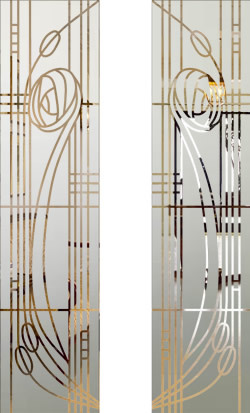 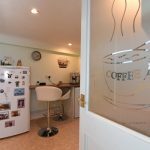 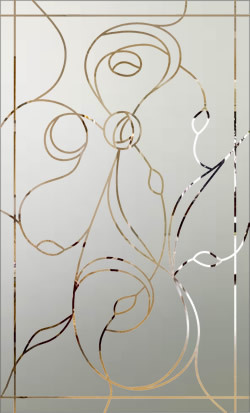 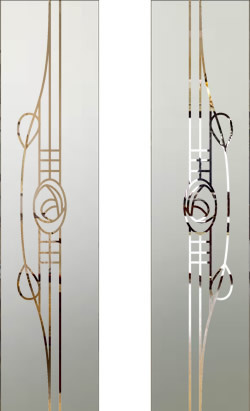 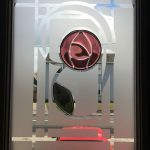 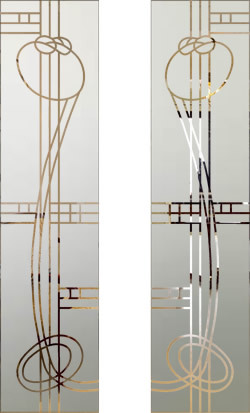 The designs below are created with an etched glass background with all of the lines in clear glass but you can also have the design etched with the background of the glass being clear glass. 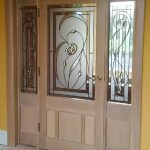 If your glass is for a door that is similar to the doors shown on the right, quote the number under the door. 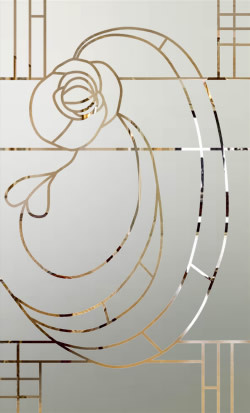 If your glass is for a different sized panel, quote the number on the left and let us know your glass sizes.